The National Flood Insurance Program regulations require that all new construction and substantial improvements in flood-prone areas be constructed with materials resistant to flood damage (Section 60.3(a)(ii)). While spray foam insulation is an exceptional air barrier, not all types of spray foam insulation will protect your home from water damage. Open cell spray foam should not be installed anywhere that is susceptible to flooding because it is very permeable–it acts as a sponge when in contact with water. On the other hand, closed cell spray foam is able to withstand high levels of water vapor and floodwaters. 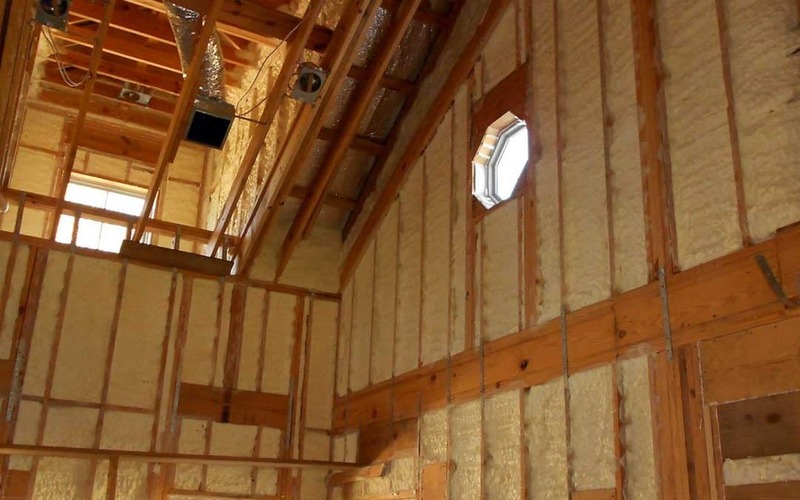 FEMA recognizes closed cell spray foam as an example of flood-resistant material, as it is capable of withstanding at least 72 hours of prolonged contact with floodwaters. This means, that for spray foam applications in homes below the Base Flood Elevation, closed cell spray foam is the only option. In an area such as the Gulf South, it is crucial for homeowners to make sure open cell spray foam is not installed under subfloors, crawlspaces, raised slab foundations, or their home’s general exterior. In compliance with best installation practices, Diversified Energy proposes and installs only the proper polyurethane spray foam material at the correct thickness under the most optimal conditions, resulting in a continuous air, moisture, and insulation barrier that preserves your home and provides all the benefits one should come to expect when having one’s home foam-sprayed.